North Carolina's juvenile justice system offers great opportunities in careers that matter. For current job openings, visit the Office of State Human Resources and click "search job opportunities." The Department of Public Safety selects candidates from among the most qualified applicants in accordance with the Merit-Based Recruitment and Selection Plan for positions subject to the State Personnel Act. 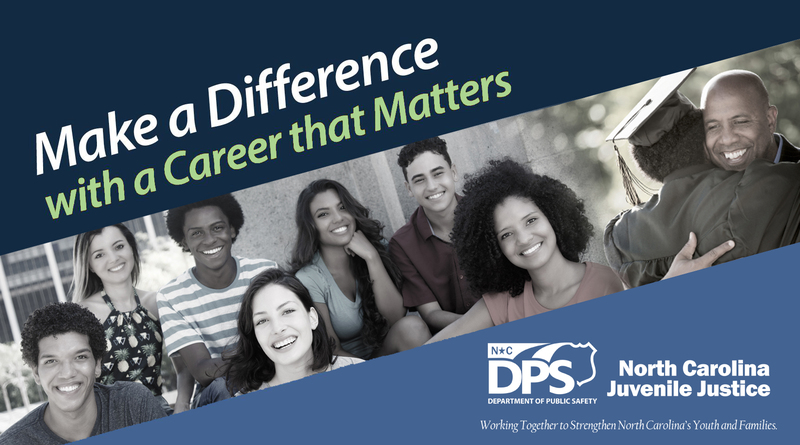 The Department of Public Safety is an equal opportunity employer.